The Montreal mayor said she wants to make sure the proposed mega shopping and entertainment complex meets the needs of the population of Montreal as a whole before going ahead. 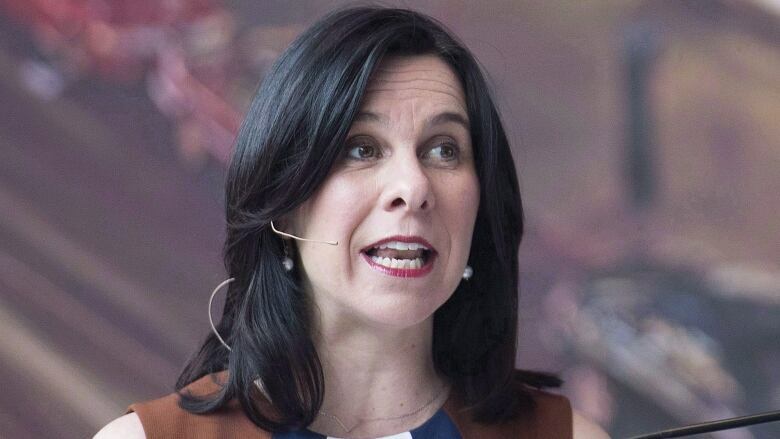 Montreal Mayor Valérie Plante wants the Town of Mount Royal and the developer of the Royalmount mega mall to review the controversial project. Her comments come a day after Montreal's economic, urban and housing development committee recommended the construction be suspended. The recommendations were based on a total of 77 briefs presented by residents, organizations and municipal leaders about the project. "We need to take a step back," Plante said at a news conference at city hall Friday. "Montrealers spoke very clearly. There is a consensus, and I'm committed to defending that consensus." Opponents of the project say it will drain Montreal's vibrant commercial streets of shoppers and further clog what are already some of the busiest roadways in Canada. Calling the committee's findings significant, Plante said she wants to make sure the mall meets the needs of the population of Montreal as a whole. The next step is to set up negotiations between TMR, the City of Montreal, the Quebec government and the developer, Carbonleo, she said. The committee recommended that, should those negotiations fail to lead to significant changes that would make the project fit into the urban fabric of greater Montreal, the City of Montreal take legal action to ensure that happens. But Plante stressed the first step is to negotiate. "I hope we don't have to take it that far," she said. Plante said the city wants move forward quickly on the project, and that a team of urban planners has been dedicated to the issue. "I expect everyone to participate and to do it in good faith." 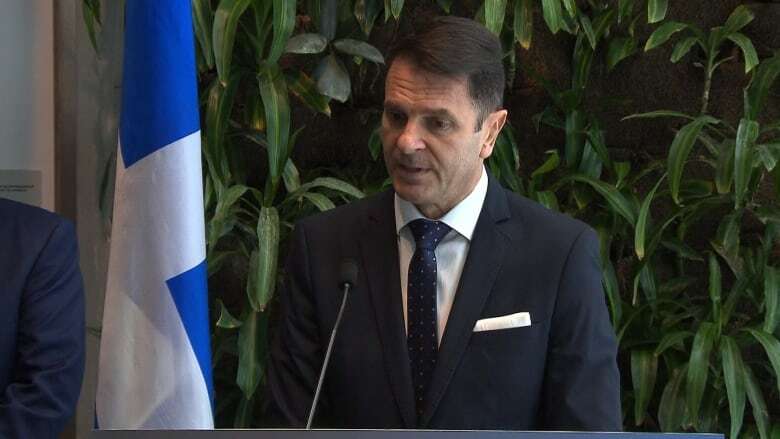 Speaking in Quebec City, Transport Minister François Bonnardel said the province will inevitably have to get involved, considering the traffic issues related to the project. "We're ready to find solutions," Bonnardel said Friday. "The Transport Ministry is ready to work with stakeholders to be able to find paths that will lead people to spend less time in their cars." In response to the committee's recommendations, Carbonleo said Thursday it's open to examining its plans, but that making changes might be difficult. Construction is already underway, said Carbonleo's vice-president, Claude Marcotte. "We're working: we have permits, and we're proceeding. But some elements seem to be problematic. We're open to look at it," Marcotte said. He said it's still three years until the project's official opening, and the completion of the residential component is still a decade away. Montreal's Association of Suburban Municipalities also weighed in Friday, to deplore the committee's recommendations that the project be suspended and that Montreal take legal action if that doesn't happen. "We strongly denounce the interference shown by some elected officials of Montreal, in a file that is the exclusive jurisdiction and responsibility of the cities involved," said Montreal West Mayor Beny Masella in a statement. The association said the project falls squarely within the criteria set out in the urban plan for the island of Montreal, which was adopted unanimously by the island's agglomeration council in January 2015. Masella said it's unfortunate that the committee suggested "rewriting the rules of the game" because the some elected officials have now decided they aren't satisfied with the project. However, the MNA for Mercier, Québec Solidaire's Ruba Ghazal, says her party is pleased to hear the project is being challenged by Montreal's urban-planning committee. "The only ones who want this project are large commercial lobbies and real estate developers," Ghazal said in a statement. The QS environment critic said it's important to take the time to do an environmental impact study, as well as to examine how much the project would contribute to traffic congestion. Royalmount mega-mall public consultation centres on hot topic — will it bring more traffic?